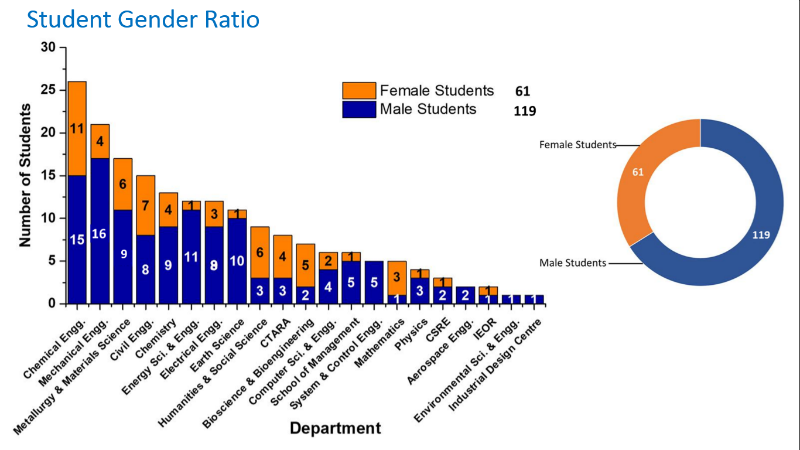 Figure 1: Number of students currently associated with the Academy. 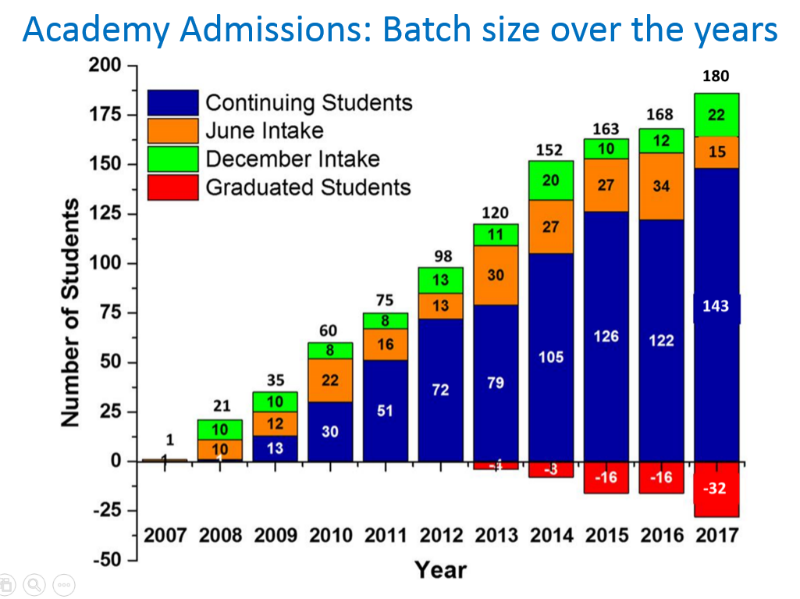 At present, there are 180 students in the Academy. 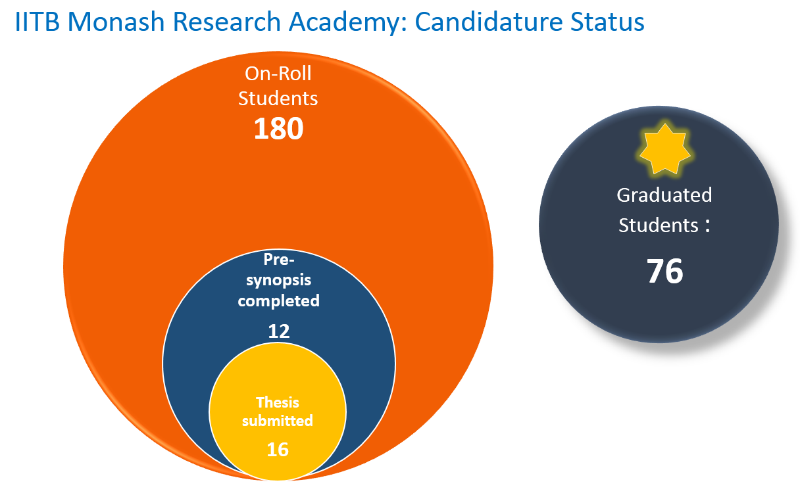 There are 76 graduates from the Academy, of which, 17 will receive their degrees in the 2018 convocation. 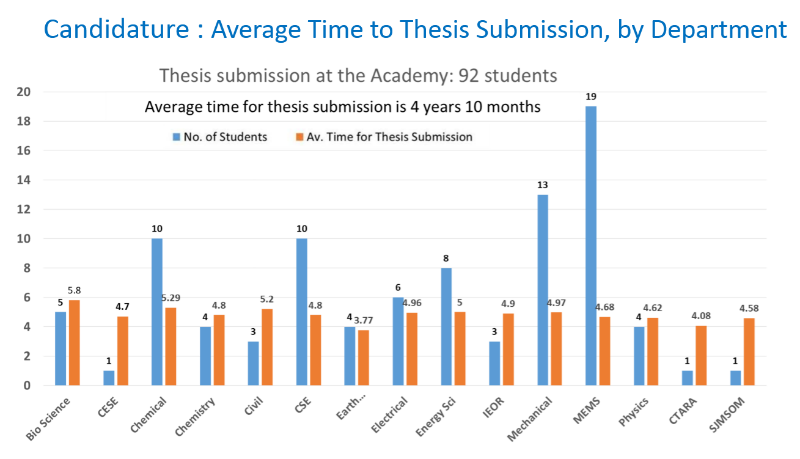 With 12 students having completed their pre-synopsis and 16 of them having submitted their thesis, we expect close to 25 graduation for the year. 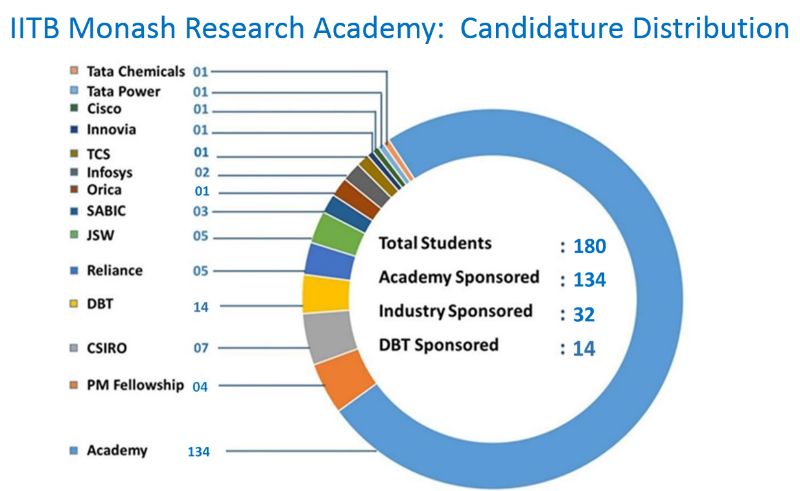 Figure 3: Distribution of students according to their sponsor (Academy, Industry and DBT). 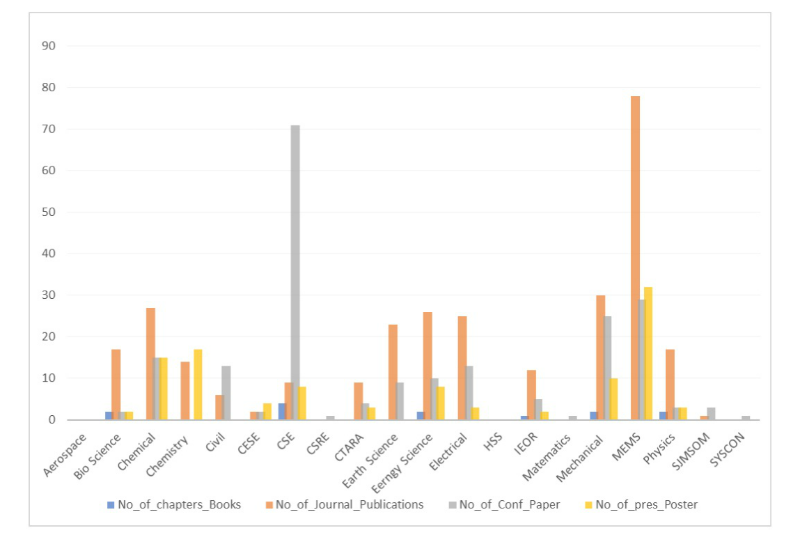 Figure 4: Academy student strength by intake and graduates over the same period. 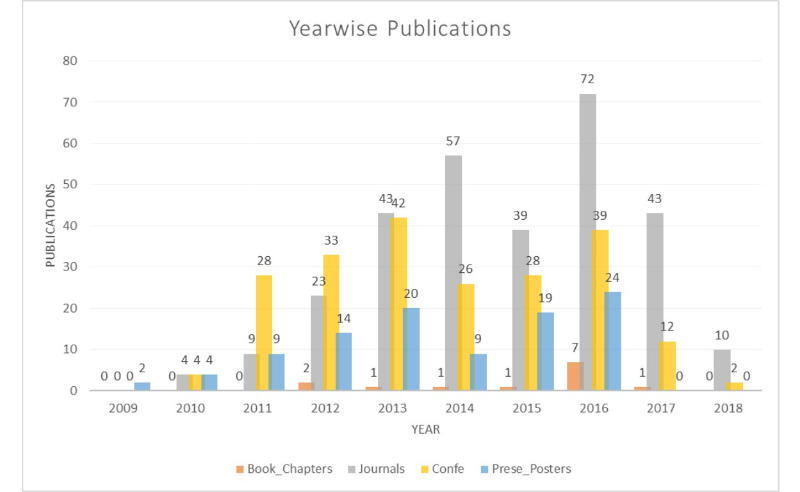 A total of 15 students have graduated in August 2017. 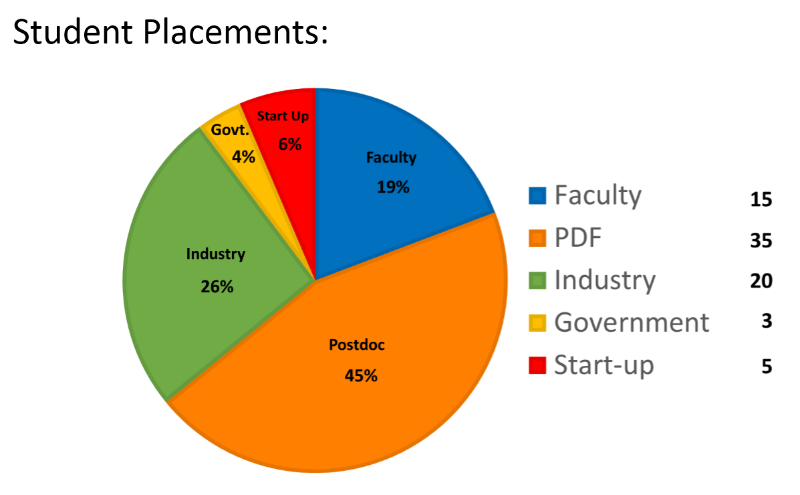 Figure 5: Number of years taken to complete PhD work across departments.